DREAM SIGHT (Dream Waters #3) is AVAILABLE on AMAZON!!! After so many unexpected delays to its release, I was starting to think DREAM SIGHT (Book 3 of the Dream Waters series) was cursed to never actually reach the public. I ended Book 2 with a hell of a cliff hanger—unaware that it would take so darn long for the next part of my story to see the light of day. In retrospect, I feel a bit guilty that I left readers hanging for as long as I did. 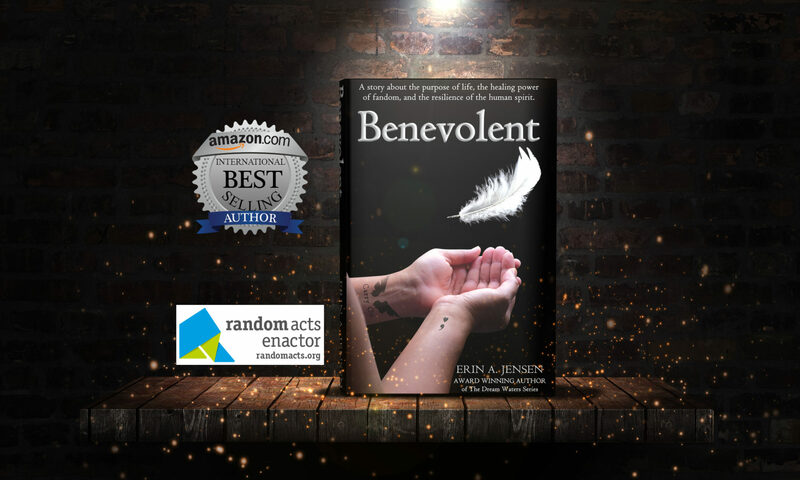 I was asked whether Book 3 was out yet so often that I promised my readers I would shout from the rooftops when the much anticipated third book in my series was finally available. Since my 14 year old’s response to that was, “Please don’t do that,” I’m settling for lots of enthusiastic posts on social media. If you’re disappointed, you’ll have to take it up with my son. Although, considering the curse, I should probably thank him because it’s entirely possible that I would’ve slipped off the roof and died. Then the unanswered questions would just remain unanswered. Well, I’m starting to get cold sitting on my rooftop typing up this virtual shout out and there’s another winter storm approaching my town, so…happy reading! 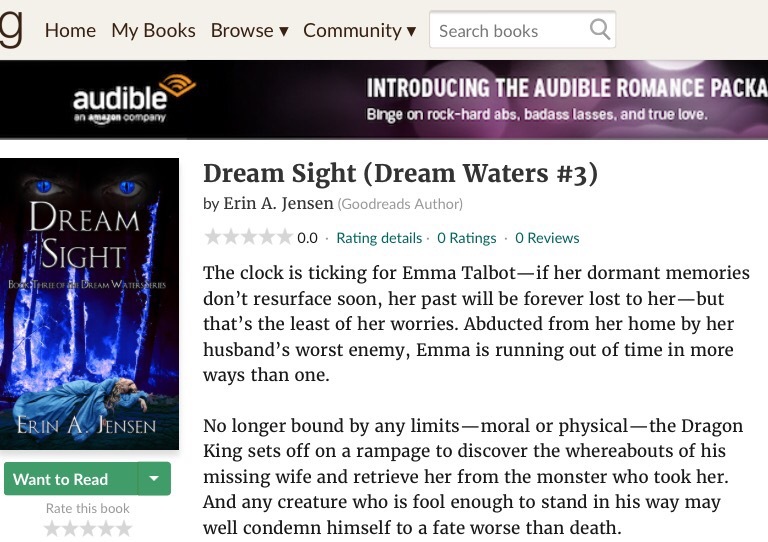 You can add DREAM SIGHT (Book 3 in the Dream Waters series) to your “Want to Read” list on Goodreads! It won’t be long now! 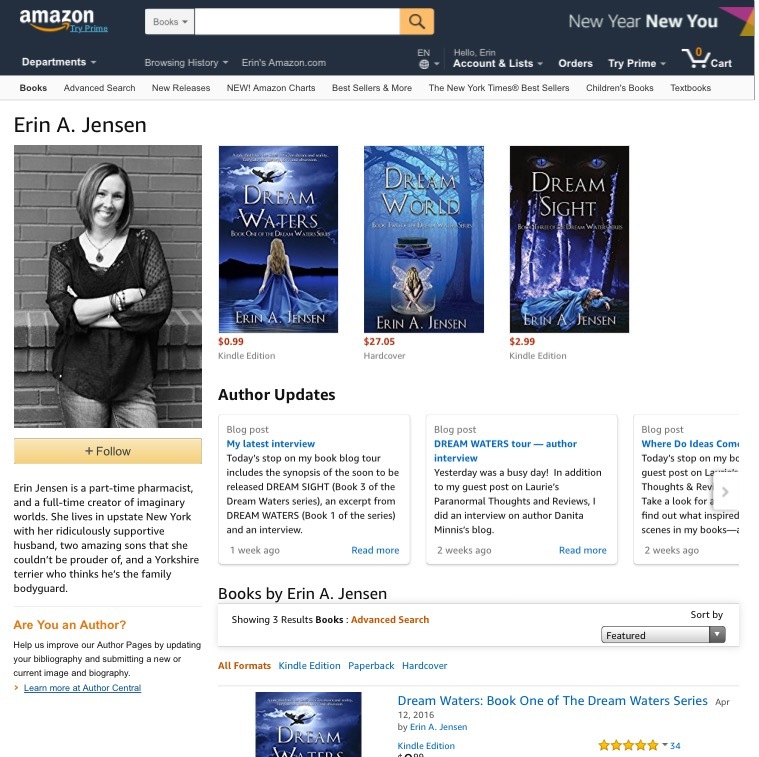 After a few unanticipated delays, I’m thrilled to tell you that DREAM SIGHT (Book 3 in the Dream Waters series) should be available within the next few weeks! You can add it to your “Want to Read” list on Goodreads now! Book 3 is my personal favorite, as it tells the backstory I’ve been dying to tell since I started the series. Several of the scenes have been in my head for ages, not so patiently waiting to be shared.